Take a moment to reflect on where you are right now . . .
Do you understand the power of prayer? Do you have a heart for the nations? Do you hunger to see God intervene in the world? When I arrived after enjoying a vacation favored by God, there was a stirring to seek what He has revealed last October 14, 2015. I then remembered that when I scheduled posts for this week before leaving to Palawan, God did not give me His word to share on October 14 and 16. I sought more but He really concealed His plan for these dates. When I got home, I was inspired by the Spirit of God to check out what He revealed through other people, specifically through the contributors of this website. And it was impressed to me that there was a turning of page happened from October 13 to 14. It was a massive shift in the spiritual realm. There was a great revealing of God’s thoughts and wisdom from those dates onward. The activity of the Spirit of God is so unprecedented that it is so active. Giftings, ministries and lives are being positioned for a greater war ahead. There were tremendous impartations released all over us. God is revealing more of His Wisdom to us. Fear and anxieties are broken. The following are the revelations of the Lord through His beloved children. May these will bless us all!!! 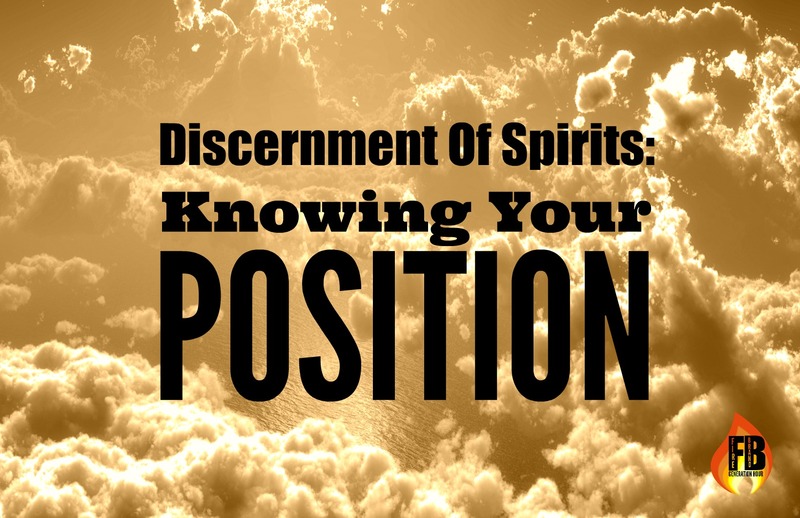 The gift of discernment of spirits is the Holy Spirit-empowered ability to determine the spiritual source of something—whether it is an atmosphere, something spoken or something presenting through a person or wider group. Those of us who are gifted in discernment tend to be very sensitive to what is occurring in the spiritual realm, often being alerted ahead of time to what is taking place. There will be times when we are confronted with something that is demonic in origin, or spiritual warfare is taking place. When this happens, it helps to remember not onlywho we are, but also where we are. We need to be able to step back and recognise our spiritual position. It is only from our position in Christ that we are protected, and can confidently respond in a way that honours Him. 1. You are in Christ. What a wonderful truth—the power of the cross. The enemy cannot touch you because you are hidden in Christ! See it, believe it, and confess it. There will be contention for that truth and so you need to guard your heart. When you have a revelation of Who your God is, and your righteousness in Christ, you can be secure in Him—no matter what is taking place around you, and no matter what you are discerning or perceiving. When the enemy looks at you, he sees Christ. When fear or discouragement arises from something we are discerning, this is a sign that we need to recognise our spiritual address—our location. The Bible is our GPS and Scripture says we are hidden in Jesus. We are seated in Heavenly Places. When we understand that our spiritual position is in heavenly places, then our focus is on what is happening in the Throne Room. We want to hear what the Father is saying and see what He is up to. The highest use of the gift of discernment is to perceive what the Holy Spirit is doing. There will be times we need to be reminded of this. We need to be intentional about our focus, because the enemy will try and distract us. You are blessed in Christ! You are ‘the head and not the tail’, ‘above and not beneath.’ (Deut 28:13) Your location and address is that you are seated in heavenly places. This is your Kingdom perspective. When you wage spiritual warfare, you are not beneath the enemy, trying to fight your way up. You may be wrestling and contending (Eph 6:12) but your position is one of strength and authority. You reside at the Throne and the enemy must bow to the name of Jesus. We are located in Christ. This is our permanent address! This is something we can celebrate and be confident in. However, when we value this, we will not take it for granted. It is vital that we stay under cover. Jesus said in John 14:30, ‘the ruler of this world is coming, and he has nothing in Me.’ He was referring to His sinlessness. We need to deal with issues quickly, and not ‘give the devil a foothold’ because our inheritance is righteousness. You can walk every day knowing that your location is that you are at home in Jesus. You are hidden in Christ and seated in heavenly places. And when you perceive through discernment that something is amiss, you can have complete security from your spiritual position. I felt the Lord encouraging His people to specifically have their hearts fixed on Him for fresh impartations. I saw HUGE heavenly downloads, big presents labelled IMPARTATIONS falling from the heart of Papa to His people. I felt the heart of Papa God so excited.. “Ask Me what impartation I am releasing to you that is going to bring such radical change.” I could feel Him beaming with excitement and joy in this releasing. As these impartations were received, some were expected and others fell suddenly when they least expected it. These impartations are flowing from the heart of God and the throne room and bringing miraculous change. Even the most unlikely and things/people that have been spoken against will suddenly see the miraculous hand of God bringing a total change and shift that only He could bring. Impartations of heavenly reality and manifestation are coming upon the people of God now that is moving them from what has felt like DECREASE to RAPID INCREASE! These impartations are also seeing the Lord release His “victory card”. A sudden cutting away, breaking an annihilating of the enemy’s assignment and chains that have held some down. 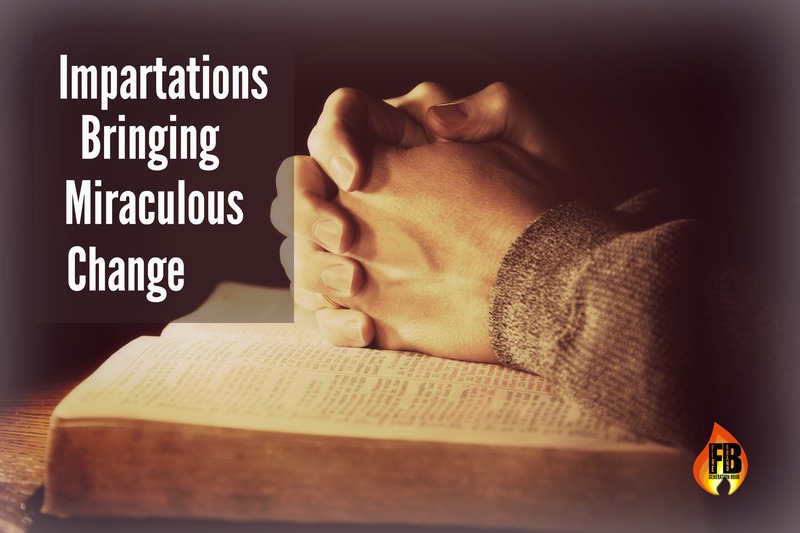 Impartations from His heart are bringing miraculous change! This is a prophetic word by Cindy Jacobs that was recorded on October 14, 2015 about God providing abundant wisdom. As I was personally praying about this, I began to have a vision after the Lord began to speak to me about the wisdom He wanted to provide. And I saw an artesian well, a bubbling up well. The Lord would say, “I have been speaking this to you, but know you’re going to grow in who you are in Me. You’re going to grow in your ability to tap into this well of wisdom that I am giving you. Because I am wisdom,” says the Lord. “I am wisdom. I am the spirit of wisdom,” says the Lord. And the Lord says, “The spirit of wisdom is embodied in my Holy Spirit in you. So as you begin to pray and you begin to pray in the spirit and you begin to seek My face, as you incline your ear unto me, as you say, ‘Lord, I know I’m lacking, I know I don’t know what to do,’ I would say to you, I will show you the way, and you will hear My wisdom. It will be so supernatural, and it will be so full of revelation that from one minute to the next, what you didn’t have you’re going to have. You’re going to know what to do with your family, you’re going to know what to do with your finances, you’re going to know where to find that job, you’re going to know what house to buy, you’re going to know how to pay your bills,” says the Lord, “Because I’m going to give an abundance. It is there. It is flowing. It is artesian. And it is there to meet your every need,” says the Lord. As you read the previous scripture, what picture leaps to your mind? What or who is the strongman spoken of in this passage? For some, this question elicits the image of a huge, foreboding creature with its wings spread over a city. Others think of someone like Hitler who threatens the peace of nations and people groups. Which is right? Is the strongman a ruler of darkness, as mentioned in Ephesians 6:12, or is it an actual person who through some dark, charismatic influence is able to control governments, laws, and the thinking of people? Is it possible that both concepts are accurate to a degree? If, indeed, the strongman can be represented by a person, such as the king of Babylon, who is a tool of an unseen power of darkness, how do we “overcome” the strongman? The Bible says he is disarmed when someone who is stronger overcomes him. Few Christians would disagree that God, who is the King of the Universe, has power that far surpasses any influence of the evil one. There is clearly no contest! One of the mightiest ways God displays His strength, however, is through a Church that prevails through prayer. So, if Satan has been able to set up his thrones and dominion through wicked rulers, it’s because the church has not been overpowering the strongman in intercession. A fascinating instance of how intercessors in one nation conquered their strongman comes from Panama. Different Panamanians have described to me the agony of the years under the harsh dictatorship of Manuel Noriega. They shared about the sound of helicopters in the night that flew over the jungles and dropped black garbage bags containing the remains of those who posed real or imaginary threats to his dictatorship. It was a well-known fact that Noriega consorted with occult leaders and practiced voodoo and other forms of magic.3 The empowerment he received from these dark forces protected him for a season. He indeed seemed to be an invincible strongman. However, there was one army in the nation whose leaders understood that the weapons of our warfare are not carnal, but are mighty for pulling down strongholds and strongmen! Various Christian leaders organized a prayer army. This army focused its spiritual weapons through prayer in a unique way—all-night prayer vigils by bus! The intercessors would pray throughout the whole nation once a month in this manner: While a leader led the prayer through radio broadcast, those interceding on the buses agreed together with those who had to stay at home with their families. The strongman’s troops never suspected they were being undermined in such a “painless” way. Most of you know the end of the story—prayer worked! Eventually Noriega was deposed and sent to prison in the United States. Of course, Noriega was not the real enemy; he was simply being used as a tool of Satan over the nation. However, as long as he was in power and yielding himself as an instrument, the law of double reference indicates that he also represented a spiritual strongman. There are various ways to pray which are useful in dealing with strongmen. In Daniel 9, as he was engaged in 21 days of prayer and fasting for his nation, Daniel systematically confessed and repented for the sins and iniquities of his people while they were being held captive in Babylon. We do not know if Daniel knew he was wrestling against the power of the strongman, the prince of Persia, before an angel came and told him. However, we do know that the answer to his prayer was sent right away, but a demonic ruler tried to interfere (see Daniel 10). We learn from Daniel’s experience that persistent prayer, fasting, and repentance can be powerful tools for overcoming strongmen. Another insight for dealing with strongmen is given in 1 Timothy 2:1-2. We are first exhorted to simply pray for all people—petitioning God for their needs, interceding for their situations, and even offering up prayers of thanks for them. Essentially, Paul is challenging Timothy to be continually alert in intercession, to surround people with prayer. This weakens the ability of strongmen to be able to deceive and attack people. Many years ago, in Toronto, Canada, each of 25,000 Christians meeting for city prayer received a page of the phone book to pray over, which resulted in intercession for just about everyone in the city. This kind of intense bombardment breaks the power of the strongman off of a city’s people (see 2 Cor. 4:4). Perhaps prayer groups or churches in your city could come together to pray for the people who live there. Or maybe God would have you simply begin praying for all the people in your workplace, your business, your child’s class at school, etc. You could even walk around your neighborhood and pray over each home as you pass it. A second instruction given in 1 Timothy 2:2 is to pray especially for kings and all who are in authority. Remember the above story about Noriega—strongmen who stand behind human structures particularly target leaders. I have heard more than one person remark on how a certain governmental leader went into his position with the best of intentions and the purest of hearts only to be corrupted and compromised. The invisible strongmen want this to happen for one main reason, and 1 Timothy 2:2-4 explains it—God wants us to live quiet and peaceable lives in godliness and reverence because He desires all men to be saved. It takes strategic spiritual warfare for this goal to be accomplished. All of our leaders—whether we like them or not—need to be continually protected by the prayers of God’s people. Once the power of the strongman is broken off of an area, it clears the atmosphere for God to move freely, and tremendous revival breaks forth. I am convinced, if we were to study the awakenings, renewals and revivals of the past, we would see that before the move of God happened, strategic intercession took place. It is simply an incredible experience to witness in an area where the power of the strongman has been broken. People are receptive, hungry and open. They have had the blindness removed from their eyes, and the light of Jesus Christ falls abundantly upon them in the transforming power of salvation. Dake, Finis Jennings. Dake’s Annotated Reference Bible, 7th ed. Dake Bible Sales, Inc.: Lawrenceville, GA, 1977. Wagner, C. Peter. Warfare Prayer. Regal Books: Ventura, CA, 1992. Discover how God remembered Iloilo, Philippines and its prophetic destiny. There is an uprising roar of its fulfillment. Are we ready Ilonggos??? 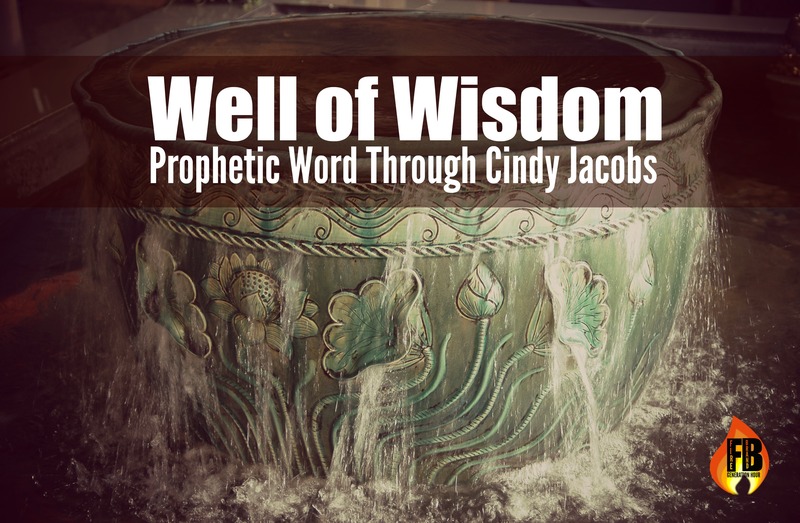 Prophetic word is released through Cindy Jacobs… Read it here.